El titular del Organismo Provincial para el Desarrollo Sustentable (OPDS), Ricardo Pagola, dejará su cargo para integrarse al equipo de la campaña electoral de Cambiemos en territorio bonaerense, y será reemplazado por Rodrigo Aybar, informaron fuentes oficiales. Pagola se incorporará al equipo de campaña de la segunda candidata a senadora por la provincia de Buenos Aires y titular de ACUMAR, Gladys González. En su lugar, asumirá el próximo lunes Rodrigo Aybar, un dirigente vinculado a la gobernadora María Eugenia Vidal. Oriundo de Bolívar, Pagola ya trabajó en otras campañas del PRO, como la de Miguel del Sel en Santa Fe y en la Gladys González a intendenta de Avellaneda. From Rodrigo: "In July I'm taking office as Secretary of Sustainable Development of the Province of Buenos Aires. It is a great honor to be part of the Governor's cabinet, who is one of the most prominent Argentine politicians. The Humphrey Fellowship was definitely a very important in my professional career and I'll do my best to honored this opportunity; it was important in meeting lifelong friends from all over the world, and sharing this unique experience together with my family." Rodrigo Aybar Perlender was a 2016-17 Humphrey International Fulbright Fellow at the University of Minnesota Humphrey School of Public Affairs. He has served in several positions at the National Social Security Administration of Argentina. Prior to accepting the Humphrey Fellowship he served as General Director of Benefits, authorizing pensions for millions of beneficiaries in his country. During the last 13 years he served in public management positions in three levels of government. He is currently Vice President of Contemporanea Foundation, a nongovernmental organization aimed at training young social and political leaders, and a member of Political Action Network, a civil organization that promotes dialogue among politicians and to strengthen the relationship between civil society and political leaders. 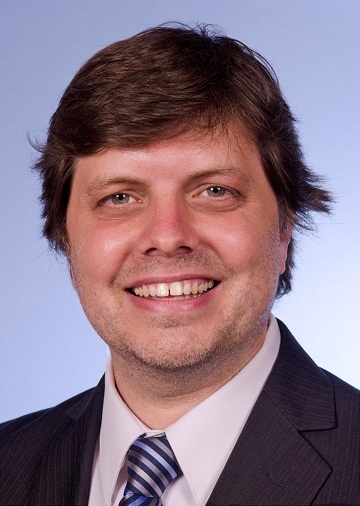 Mr. Aybar earned a Bachelor of Arts in political science from the Catholic University of Argentina in Buenos Aires, studied Portuguese language at University of Brasilia (Brazil), and then completed an intensive course on public administration at Georgetown University in Washington DC.